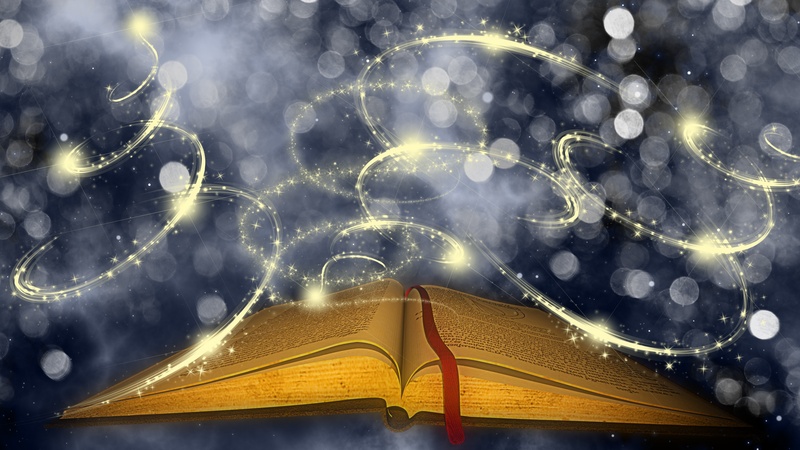 You may have thought "Once upon a time…" was primarily a way for parents to get children to sleep, but it turns out that stories can also be used to engage and motivate a business audience. Stories are stickier than data, and in the business world they can serve as a way to capture attention and drive support for or adoption of a new product. Product managers (PMs) rely on their ability to tell a good story when communicating about a product with internal teams, upper management, and external customers. Storytelling as a product manager is a lot like storytelling as a filmmaker. PMs need to understand the character's motivations, present the conflict in an understandable way, and tell a memorable story that engages and excites the audience. Although most people associate storytelling with communication, David Riemer, a Berkeley Haas Executive-in-Residence who consults with students in Berkeley MBA programs, says that storytelling should initially be thought of as a strategic tool rather than as a communication tool. David, former VP of marketing for Yahoo, says that when you are in the strategic planning stage of the product cycle, storytelling can help you evaluate a problem and determine what type of product needs to be built to solve it. "Storytelling can be used to make sure you are building the right product in the first place," says David. "When I teach storytelling, I use a narrative framework to help people answer basic questions that are the foundation for anyone building a product." Who am I building this product for? What is their big challenge? What problem am I solving for the customer? What is the value proposition? How are we going to build it? How is it going to be different from the competition? Asking these questions forces the product manager to think about the protagonist (the customer), the protagonist's motivations (the product features the customer needs), and the conflict (the problem that needs to be solved) and determine whether or not they have a story that works. "Filmmakers create a storyboard before they shoot a film,” says David. “I have product managers create a simple six-frame narrative storyboard that helps them think through core principles like the character (customer), the character's motivations, the core conflicts, the aspiration of the character, and the setting of the story, which is the place, time, and competitive context in which customers might use the product," says David. Once the strategic framework is complete, and the product is built to fit the story, product managers work with the communications team to tell the story to the customer in a compelling way. "There are three things that you want to accomplish when you tell a story: you want people to remember it, you want people to be motivated by it, and you want to make sure they understand it," says David. "You have to sweat the details to make sure you have a good story to tell." Acquiring a specific set of skills can help you tell a better story David says that the first step in learning to tell a compelling story is to loosen up and realize that it is okay to tell stories in a business environment. "Many people think that stories are not appropriate for business settings. They assume that talking about numbers, relaying facts, and presenting spreadsheets are the best ways to convince people in the business world. Data and facts have their place, but are rendered more powerful and become more memorable when they're delivered in the context of a story. Once you get comfortable with the idea of storytelling, you can really begin building your skills." When you're ready, David suggests focusing on acquiring specific skills such as learning how to tell a personal story, introducing a character, creating an antagonist, and diving into a story in a way that immediately engages the audience. You can learn to tell a personal story through practice. Try to build informal personal stories around events in your own life or in the lives of the people around you. To learn how to introduce a character, clarify their motivations and establish a clear conflict, try writing short stories and seeking critiques from local or online writing groups. Since writing skills and presentation skills are two different things, you may also want to practice presenting stories to an audience. You can do this by telling stories to your friends or family in informal settings or by joining a group like Toastmasters, where you can practice your public speaking and presentation skills in a more formal setting. Want to learn more about the skills PMs need to succeed? Download our free ebook on breaking into product management. You may also be interested in our blog post: Do I need an MBA to be a product manager. Eileen is Senior Assistant Director of Admissions for the Berkeley MBA Programs for Working Professionals. She enjoys meeting prospective students and helping them explore the benefits of an MBA, and hopes these blog posts provide valuable insight into the Berkeley MBA experience.